Candy is one of the few joys of the world that can perk you up and make you smile after just one bite! 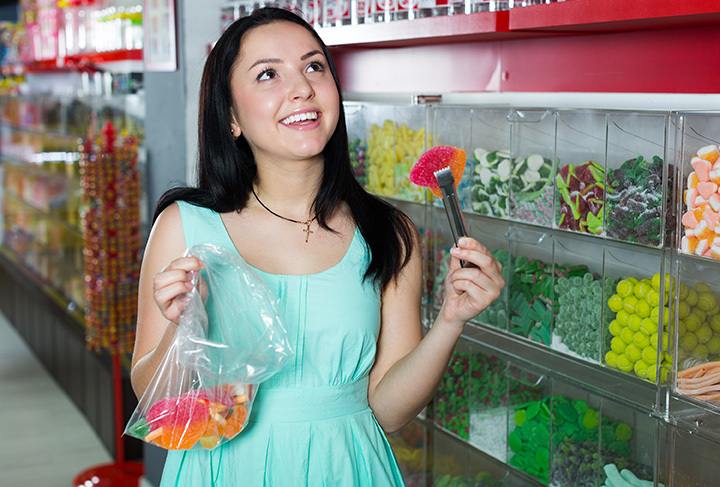 Across South Carolina, you’ll find an abundance of candy stores to truly sate your sweet tooth. From melt-in-your-mouth chocolate to delicious lollipops, these are the 10 best candy stores in the state. Who says there’s nothing healthy in a candy store? The Peanut Man Candy & Nut Company puts that theory to rest by offering a healthy variety of nuts along with their sugary sweets. Offering the old-fashioned general store variety of popcorn, praline, nuts, and candies, you can find something special for just about any diet. Take a step back in time as you step through the doors to this little downtown candy haven. From classic candy-filled apothecary jars to pre-packaged modern-day sweets, you’ll rediscover the lost candies of your childhood along with yet-to-be-tried offerings that are sure to be your next favorite. When you get a taste of chocolate done the old-fashioned way, you’ll never again want it any other way. CocoBon Chocolatier handcrafts fine chocolates using tried and true recipes that will make even the pickiest chocolate lovers rejoice. A sweet Greenville staple for decades, The Chocolate Shoppe sells more than tasty cocoa-based treats. Locals love them for the melt in your mouth cookies and cookie cakes, and their service is just as sweet as their confections. One of the best things ever to come out of Georgia has stamped its delicious footprint in the Palmetto State. With four locations in South Carolina, visitors rave about the homemade taffy (get a free sample in store! ), pralines, and chocolates. The Kilwins brand has been around for over 70 years, but Greenville finally got lucky enough to play home to one of these yummy candy centers in 2013. Situated in downtown Greenville, Kilwins is serving up their traditional offering of fudge, brittles, chocolates and caramels to fuel your trek around Greenville’s historic district. Europeans are notorious for doing chocolate the right way, and the owners of Chocolat Boutique have brought their overseas experience in the confection industry to South Carolina. In addition to their house-made treats, you can also find specially-imported delectables. There’s no chance you can hit up the Grand Strand without stocking up on homemade salt water taffy, and Wee-R-Sweetz is the place to get any flavor your taste buds desire. They’ve got a little something for everyone (including your canine friends! ), from gourmet apples and popcorn to chocolates and fudge, and special dog treats your pup is sure to devour! Don’t let the name fool you—this place has lots more to offer than suckers (although you’ll find plenty of those, too!). Create your own selection as you browse the barrels and baskets full of popular and nostalgic candies. And make sure you say hello to George the Purple Gorilla before you leave. Sweet on the outside, as well as in! Cyndi’s offers the classic candy store experience, with treats stashed in apothecary jars and all along the walls. Grab a basket—you’ll need it!